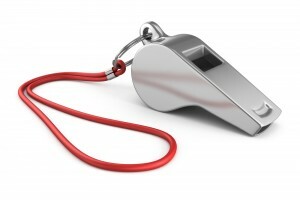 When a whistleblower in the U.S. is terminated for exposing illegal practices of a company or organization, they have recourse to anti-retaliation provisions stipulated in the Dodd-Frank Wall Street Reform and Consumer Protection Act enacted in 2010. These regulations were part of broader efforts to make it easier for the federal government to keep an eye on institutions and enforce regulations. However, when a whistleblower is not on U.S. soil but still provides information that impacts U.S. concerns, these protections do not apply. The global market is increasingly impinging on all parts of the world and in all industries, so it is entirely likely that important information about a company trading or doing business in the US that does not conform with standards may come from a foreign source. This is a boon for the Securities and Exchange Commission (SEC), which is the regulatory body for businesses both local and foreign, and they are willing to pay for it. In one recent case, the SEC announced that it paid $30 million to a foreign whistleblower of a publicly traded company that operates in the U.S. In 2013, the SEC revealed that there were 404 reports made by whistleblowers, almost 12% of all reports made for that year. This is a significant contribution to the whistleblower initiative, and should be afforded due importance. However, a recent court decision denied the applicability of the Dodd-Frank anti-retaliation statute to a foreign worker who blew the whistle on Siemens. This may eventually put a crimp in the effectiveness of the SEC to regulate overseas-based companies.